In one of my previous blogs, “Why is Southwest Florida a great place to live?”, I talked about all the reasons why people love it here! Does there really need to be an explanation? It’s funny when I interact with out-of-state buyers that are “on the fence” about moving. I get comments like, “Well, we’re just going to come look” or “It may take a few trips over the next year or so to truly make a decision”. It doesn’t take long once they step foot off that plane! If you could do business anywhere, why would you do business anywhere else? 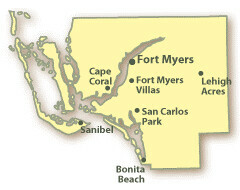 I can help you enjoy our perfect climate & relocate to Sunny Southwest Florida. Contact me for further information! Posted on March 7, 2013, in Real Estate and tagged 25 Million Reasons, Best Business Climate in the US, Buy a Home, Cape Coral, Economic Development, Fort Myers, http://www.kristenpell.com/, Kristen Pell, Lee County Business Incentives, Lee County Cost of Living, Lee County Economy, Lee County Florida, Lee County Population, Lee County quality of life, Lee County Tax Climate, Lee County Transportation, Minnesota Twins, Naples, No Personal Income Tax, Property Guiding, Realtor, Red Sox, Relocate, Southwest Florida great place to live, SWFL Real Estate, Year-round sunshine. Bookmark the permalink. Leave a comment.